The appeal of Asian food goes well beyond exotic flavours; it is considered by many as a lighter, healthier option full of fresh vegetables, seafood, meat and chicken. Different regions offer different taste perceptions – each with their own distinct cooking style – from Thai to Malaysian and everything in between. Spices, sauces and herbs are integral parts of Asian cooking, added to enhance taste, texture, aroma and colour and send the senses into overload, as steaming plates arrive at the table. The Tamarind Restaurant, Maleny QLD. An elegant open timber pavilion allows guests to soak up stunning natural surrounds while enjoying Mod Oz dining infused with contemporary Asian twists, at The Tamarind Restaurant in Maleny. 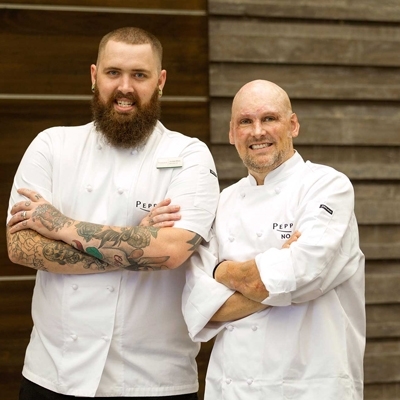 Set in lush rainforest in the Sunshine Coast’s Hinterland, Executive Chef Daniel Jarrett is the force behind this award-winning restaurant serving a la carte, degustation and banquet options. Salivate over a Penang curry of charcoal roasted pork, mussels, pineapple, snake beans, Thai basil and roasted peanuts; or perhaps whole crispy fried fish, chilli, tamarind, wild ginger and picked garlic sauce, with crisp basil – teamed with wok tossed greens in oyster sauce and steamed jasmine rice. 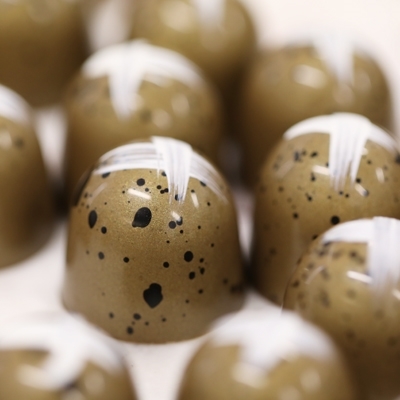 For a sweet indulgence, try soft coconut pudding, sticky black rice, apricot and basil sorbet, gingerbread and finger lime. Offering a fusion of influences in all aspects, an exhilarating taste experience begins upon crossing the border into Fu Manchu Oriental Kitchen on Thomas Drive in Chevron Island. Drawing locals from across the Gold Coast to this trendy culinary strip, the restaurant is designed with ambient dining in mind, amongst a moody setting of dark tones, broken by vivid aqua and exotic features. 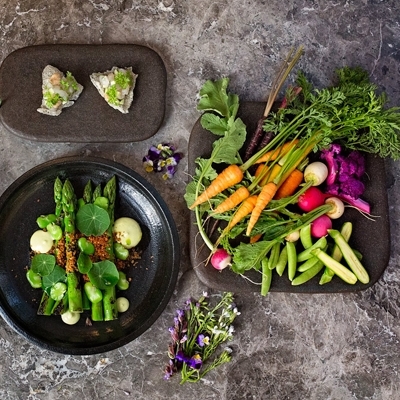 A share plate menu dishes up ocean tempters such as tamarind braised baby octopus, local rocket, charred cauliflower, pine nuts and miso mustard; while for a plate from the land, opt for sticky master stock braised lamb ribs, cumin, lemongrass and black vinegar. Those with light tastes may choose a pork meatball bao, with kewpie mayo, pickles, coriander and chilli. Find Cairns locals sitting alfresco sipping an icy brew as balmy breezes waft by, at Mr Soy Boy on Mulgrave Road in Earlville. An inviting dining room space - styled with traditional decorations of bamboo artwork - and modern bar boasting a range of beer, wine and spirits to keep thirsty throats at bay, combines with an authentic modern Asian menu to create an ideal ambiance for leisurely meals. Starting flavours like lightly battered with five spice seasoning soft shell crab, deep fried and served with citrus emulsion, are sure to tempt; before delving into wok tossed fresh flat rice noodles, local king prawns, scallops, calamari, Asian greens and cracked egg, submerged in a thickened broth with pickled green chillies. Kungpao chicken at Bowl Bowl Dumpling, Collingwood VIC. 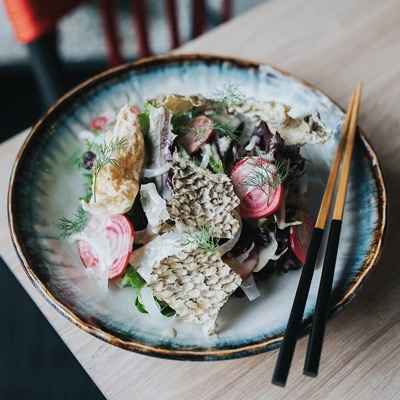 Be transported to the bustling markets of Asia at Bowl Bowl Dumpling on Smith Street in Collingwood. 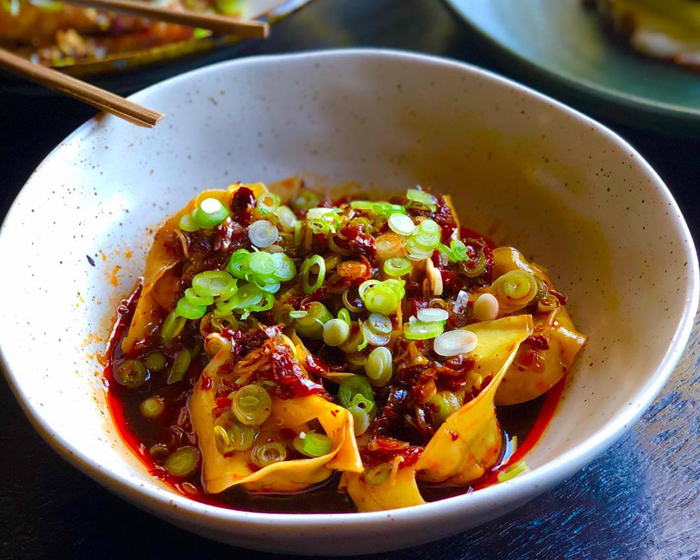 A moody vibe beckons with rustic wooden table settings, overhead glowing suspended lights and authentic accents, alongside a large wall rack of carefully selected wines; while on warm days sit alfresco and devour divine dumplings and sensational street food. 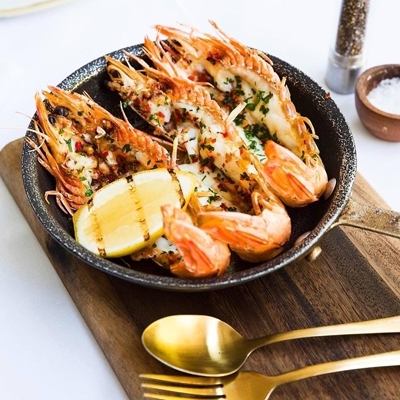 Embark on an exotic foodie adventure with a Chef’s selection street food platter of six dishes; or delve into the likes of chicky prawn dumplings with whole prawns, chicken, celery, coriander, ginger stock and rice wine – either pan fried or boiled. Those looking to share larger plates can roll their own pancakes with tender and crispy duck, cucumber, chilli, salad and hoisin sauce. Char Kway Teow at Passage Thru Malaysia, Greensborough VIC. Enter a Malaysian backyard where the experience is more than just the food at Passage Thru Malaysia on Main Street in Greensborough. Framed photographs of old cities and homeware accents add an authentic touch to whitewashed brick walls and cartoon murals, creating a chilled out vibe ideal for relaxing with a drink of choice. Kickstart a gastronomic journey with delicate and delectable braised pork belly, or roti chicken rolls with lettuce, cucumber, tomato and two different peanut sauces; before authentic nasi lemak beef rendang, coconut rice, boiled egg, chilli sambal, anchovies, peanuts and cucumber. Seafood lovers can delve into bowls of spicy laksa coconut broth, with vermicelli and yellow noodles, mussels, prawns and fish cakes. Mud Crab is Kapitan's speciality, Hawthorn VIC. 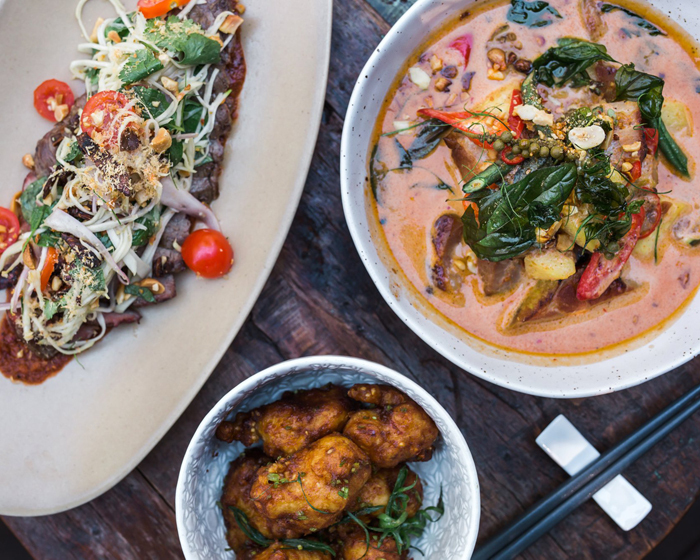 A sensory journey through a menu brimming with Malaysian, Thai and Chinese cuisine awaits at Kapitan on Burwood Road in Hawthorn. A colour palette of aqua, grey and purple, with speciality furniture and stacked stone walls, sets an intimate, moody vibe ideally suited to special occasions and family gatherings, at this modern Asian fine dining restaurant. 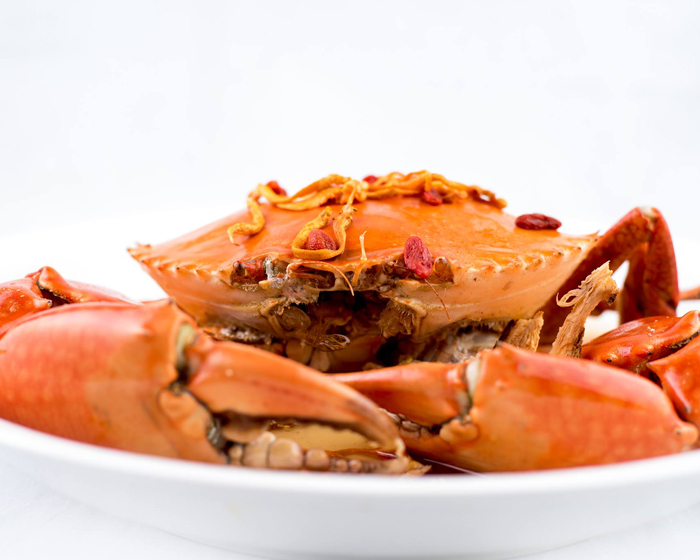 Crab is the speciality so be prepared to get your hands dirty as you tackle plates of Kapitan curry or crab with foie gras; while meat lovers aren’t overlooked - with choices such as triple cooked crispy pork belly and black pepper Wagyu beef – teamed with sides of steamed vegetables and special fried rice. For a sweet finish, try deep fried banana fritters and ice cream. 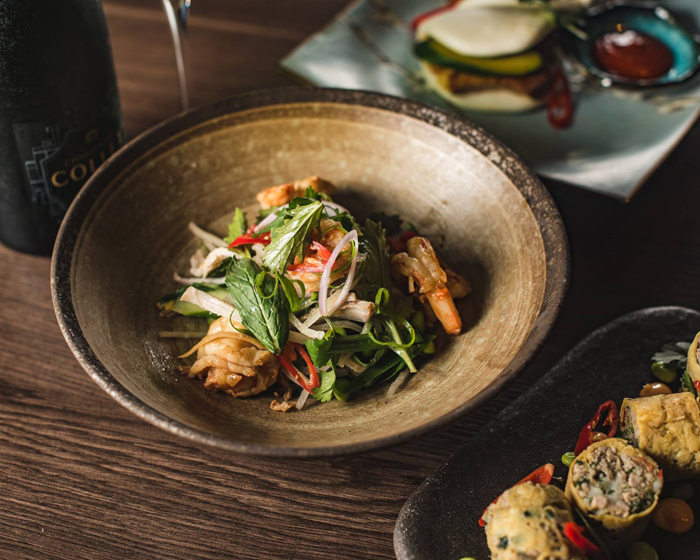 Inspired by authentic flavours, Cocochine restaurant on Murrong Road in Point Cook guides guests on a culinary adventure through Asia, in surrounds of vibrant ruby tones and layered stone features. A sleek fitout with Oriental statues and a detailed wall mural complete an exotic vibe, ideal for enjoying special occasions or unwinding with friends. 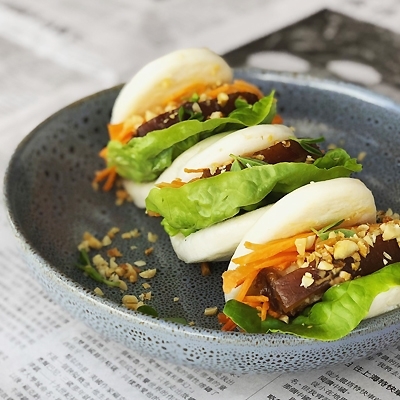 Let’s start with san choy bao - stir fried duck mince, mushrooms, carrot, celery and oyster sauce in a crisp lettuce cup - or spicy salt and pepper whole quail, lightly battered and deep fried, served on a bed of Asian greens. Tender beef fillet, stir fried with fresh chilli, basil leaves and a touch of fish sauce may tempt main tastebuds; with a side of steamed rice and classic stir fried vegetables. Char Siu Lamb Shank at Wild Duck, Kingston ACT. 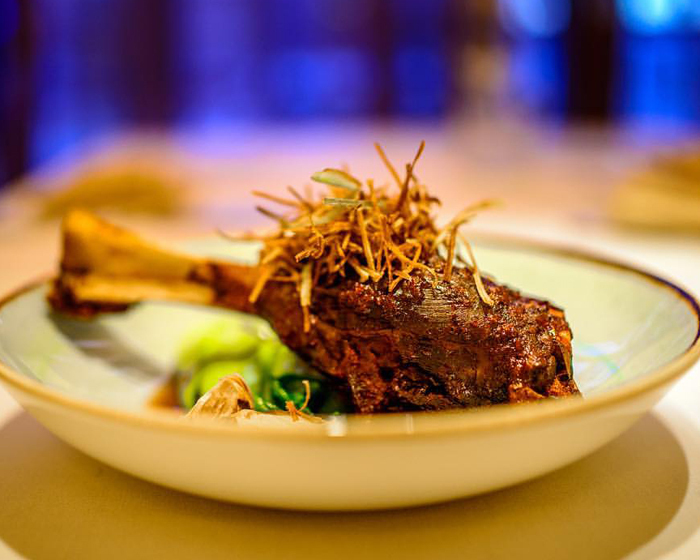 For décor as well presented as the dishes that follow, Wild Duck Fine Asian Cuisine on Kingston Foreshore delivers vibrant flavours in warm and elegant surrounds. Situated on Giles Street, this Canberra dining venue uses the classic elements of golden hued lighting, white linen tablecloths and tear drop lanterns to create a stylish and intimate ambiance. A compilation menu takes diners on an expedition through Asia’s various regions, featuring dishes such as crispy fried lotus root and pork parcels in a light tempura batter, with vinegar, ginger and honey dipping sauce and edamame beans. Be entranced by a main such as dragon cut whole baby eggplant, lightly fried and presented as a nesting dragon on crispy noodles, finished with a rich, chilli, garlic and vinegar sauce. Shanghai-style steamed pork buns at The Cinnabar, Kingston ACT. An interior of extravagant elements is sure to impress diners with an eye for design, along with an Asian fusion menu, at The Cinnabar on Eastlake Parade in Kingston. Sitting with a stylish presence on the foreshore, guests are greeted by large lampshades reflecting rays of light and tables divided by a veneer of thin tassels dangling from the ceiling, stretching all the way down to skim the floor surface. Think signature starters of roast duck rolls, with capsicum, onion and pine nuts, or dip a spoon into hot and sour soup with crab meat; moving on to a main affair such as twice cooked pork slices, onion, leeks and capsicum in black bean sauce - paired with Cinnabar special fried rice, topped with scallops, king prawns and fish roe. Laksa soup at Soi Noodle Bar, Canberra ACT. 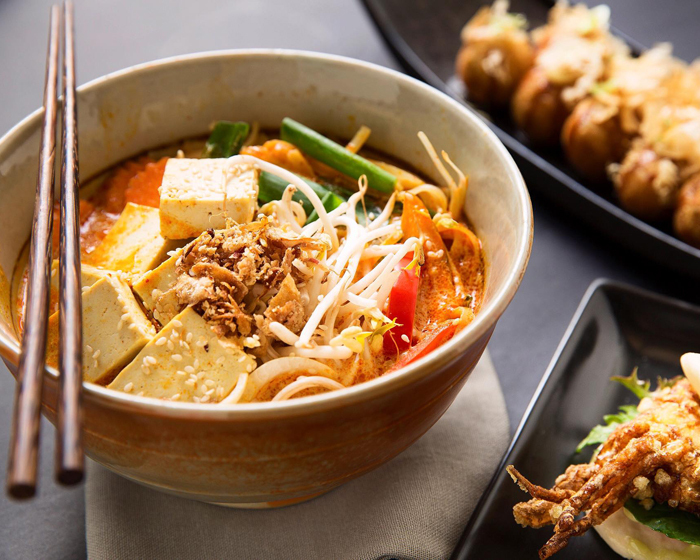 Sleek in design, Soi Noodle Bar on Bunda Street in the heart of Canberra city features an industrial style ideal for experiencing an explosion of modern Asian fusion flavours. Harbouring an earthy ambiance with a palette of soft browns and blossom wallpaper, take a seat under the painted eyes of a watchful geisha at the bright window bar, or settle into a cushioned bench with a drink in hand. 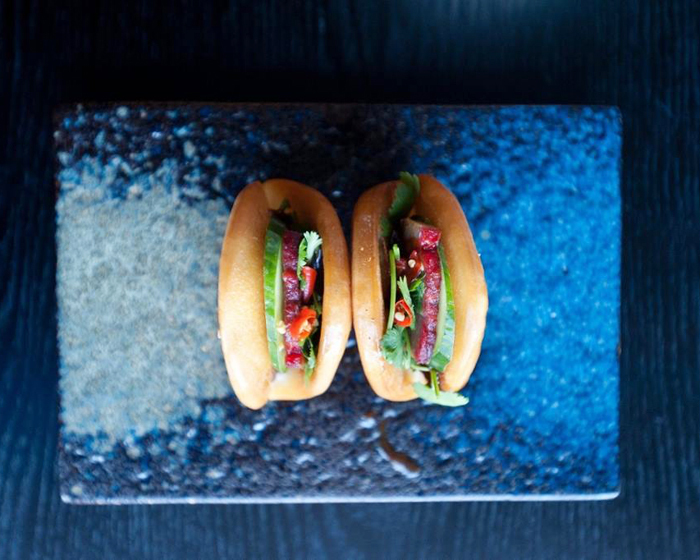 Soi encourages participation as diners may choose their own noodles and flavours, or leave it to the skilled Chefs and delve into set dishes, sumptuous street food and snacks; such as an entrée of spicy slow cooked lamb buns, with cabbage, mayo and jalapenos. Sizzling marinated Wagyu stir fry, with black pepper, onion, shallots, mushrooms, green beans and rice, may entice for the main affair. A harmony of cultures sees bold Asian flavours burst from the menu at Yang and Co on Edinburgh Road in Castlecrag. 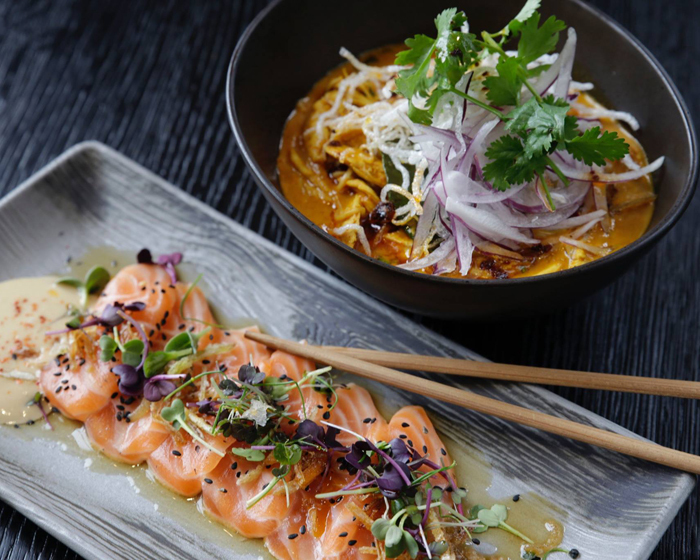 Fusion-style tapas finds a home at this trendy restaurant, warmed by the glow of exposed drop lights and a wall-sized smiling portrait overlooking diners, as the smell of aromatic dishes, steamed dumplings and hiss of meat as it sizzles, permeates the air. Watch out for Chef’s specials such as king trout cured in tiger’s milk, tomato, cucumber, avocado and fried rice paper; or Davidson plum sweet and sour pork ribs, with sides of stir fried broccoli and steamed rice. 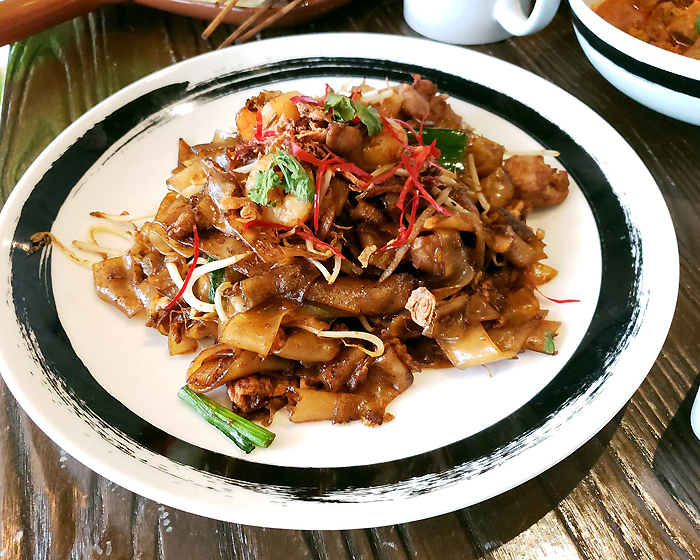 Share plates like deboned tea smoked duck, condiments and roti may entice, best teamed with Yang’s wok fried rice noodles, pipis, spicy chorizo and banana prawns. Sichuan-style pork and prawn salad at Kyubi, Campbelltown NSW. With a menu designed to stimulate and transport the senses, Kyubi Modern Asian Dining on Camden Road in Campbelltown is well worth the drive southwest from Sydney’s CBD. An ultra-modern ambiance awaits, styled with intimate plush booths, a centrally illuminated mosaic bar and sultry down lighting create an eclectically sophisticated space oozing charisma. Begin with something small to awaken the appetite with little bites full of enticing flavours, like yellowfin tuna carpaccio, wasabi, shiso, white soy and sesame, or steamed king crab and scallop wontons; explore traditional flavours executed with modern flair in mains such as slow cooked lamb ‘Crying Tiger’, chilli, shallots, lime, garlic and coriander. Surrounded in deep red tones, mood lighting and a glowing fish tank, House of Chow on Hutt Street charms Adelaide locals and tourists alike with an abundant choice of tempting dishes. 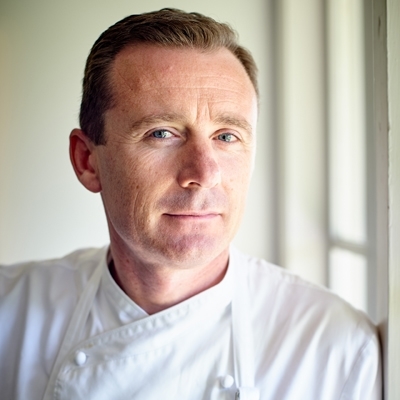 This long-established multi-award winning restaurant resonates with the sound of lively chatter as guests choose to dine in one of the private areas, or lounge at the cocktail bar with pre-dinner drinks before being seated with a window view. Chicken wings - stuffed with mushrooms, pork mince and spring onions – deep fried and served with curry sauce may be a starting point; before selecting a live lobster from the tank, cooked to order and served with garlic butter and cheese. 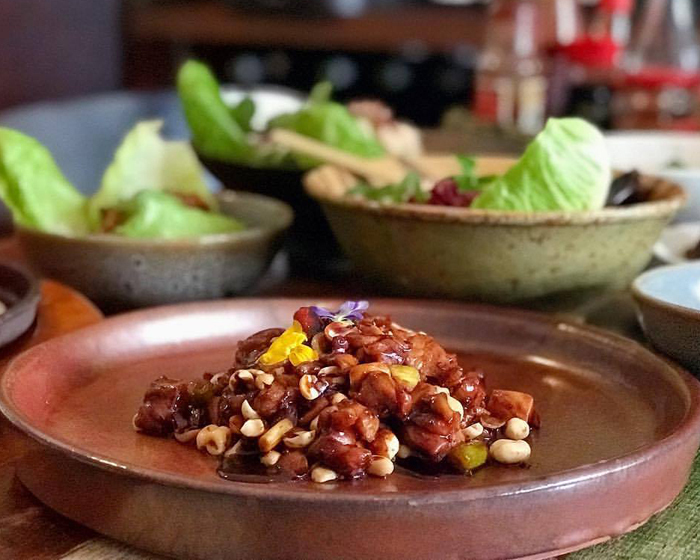 Chef’s special stewed pork hock with bok choy and Chinese mushrooms will send tastebuds into overdrive, or try beef fillets marinated in satay and served on a sizzling platter. All things Asian beckon at Kedai Kita on Albany Highway in Victoria Park, not far from Perth’s CBD. This traditional restaurant draws guests in with high ceilings framed by wooden beams, stacked stone walls and authentic artwork, evoking a cosy ambiance to while away an evening of leisurely dining. Settle in with a starter of gado gado salad with blanched vegetables, rice cake, fried tofu, boiled eggs and sweet peanut sauce. For the main affair, choose Kita’s very own nasi lemak – special coconut infused rice, boiled egg, peanuts, anchovies, cucumber, housemade sambal and beef rendang – or tuck into stir fried vermicelli noodles, chicken, fish cake, fish ball and vegetables in thick soy based sauce; accompanied by savoury roti canai flat bread. We have just scratched the surface…find more Asian restaurants near you by clicking here.